We were interested to read the very expensive advertisements which appeared across New Zealand’s main daily newspapers in recent weeks. These advertisements advocate for constitutional arrangements without regard to the Treaty of Waitangi and the signing of a proposed ‘Declaration of Equality’. Placed by a group calling themselves the ‘Independent Constitutional Review Panel’, they rely on patently false, alarmist and fear-based messaging; claiming recognition of the Treaty in the constitution would “entrench iwi in a position of unassailable racial, legal, cultural and economic superiority over all other New Zealanders” and “forever condemn our country to a future of racial division”. From the outside, calls for ‘equality’ and ‘one law for all’ may seem fair and reasonable as everyone is treated the same – as in the satirical cartoon below. All New Zealanders are not the same. We have different strengths; have different histories and different ways of seeing the world. From a political perspective Māori are the indigenous people of this country and entered into treaty negotiations with the British from a position of being an independent nation. The Treaty of Waitangi established the terms and conditions of Non-Māori settlement in New Zealand. It is the foundation of New Zealand as a modern state. It would be nonsensical to remove it from our constitutional arrangements and legislation. It would be an affront to our ancestors and the promises made in their names to relegate the Treaty to history. 1840 is still our recent history. The Waitangi Tribunal has allowed New Zealand as a nation a truth and reconciliation process to address the treachery that our government has enacted against Māori in our name. Waitangi Tribunal reports reveal unending violations of the Treaty of Waitangi. We cannot be post settlement while our government continues to behave dishonourably. Protection of Māori interests are not ‘special privileges’ rather an attempt to enable equitable outcomes from the public sector particularly from the health, justice, education systems that have marginalised Māori through the imposition of dominant white systems. For non-Māori these systems appear ordinary so are not culturally jarring and mono-cultural as they often experienced by Māori. Non-Māori are the beneficiaries of colonisation due to the systematic transfer and confiscation of assets from Māori to Non-Māori. Much of this asset transfer was illegal. Given New Zealand’s violent colonial history, claiming that non-Māori would become ‘second-class citizens’ if the Treaty of Waitangi was included in the constitution is absurd. The opposite is true. It is Māori whānau, hapū and iwi that continue to carry the weight of negative social outcomes. Fairness is not always about treating people the same. Fairness is mediated by history – what has happened before. 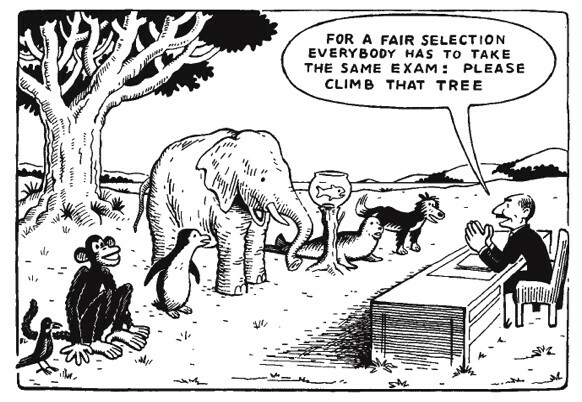 Fairness is also mediated by structural discrimination which limits options to individuals and groups of people. Whereas equality is treating people the same, equity acknowledges that fairness is more complex and contains within it an analysis of the past and an understanding of the realities of structural discrimination. Any child will tell you fairness always requires recognition of the past. Structural inequities are deeply rooted in New Zealand society. We cannot change the past, but we can take action in the present to ensure all New Zealanders have a fair chance to succeed, flourish and live to a reasonable age. Writing a submission to the constitutional review supporting the inclusion of the Treaty of Waitangi is one way to take positive action. Within our democratic system Māori are a minority so can consistently get outvoted within parliament. Those of us passionate about equity and justice need to stand together in solidarity to stop the hate-mongering of the – it appears quite organised – extreme right.